Did you know that 80% of Americans are living with gum disease and that it typically goes undiagnosed? While gum disease is best known as a dental problem, its effects span far beyond your gums. Studies have shown that gum disease is linked to heart disease, stroke, and other life-threatening conditions. If your gums have been showing signs of inflammation and bleeding, then you may be among the Americans that suffer from the disease. Luckily, Dr. Diane Sherman has treatments that can restore your gums to optimal health in Encinitas, CA. Bacteria in your mouth are the ultimate cause of gum disease. When the bacteria from plaque, the invisible film that gathers on your teeth, aren’t removed during your brushing and flossing routine, they harden into tartar. This tartar cannot be removed by brushing alone. When it develops, it’s imperative to visit Dr. Sherman to have it removed by a professional. As this tartar reaches the gum line, gum disease begins to develop. As the earliest stage of gum disease, gingivitis is characterized by red, inflamed gums. Although bleeding may occur while brushing or flossing, the connective tissue that holds the teeth in place is not yet in jeopardy. Luckily, gingivitis can be relieved by thoroughly cleaning the teeth and gums in a process called scaling and root planing. The key difference that makes periodontitis worse than gingivitis is the development of pockets in the gums. As the teeth begin to separate from the gums, the tissue that connects to the teeth may suffer permanent damage. While teeth won’t fall out if you have periodontitis, they can become loose and vulnerable. Advanced periodontitis is characterized by teeth that are on the verge of falling out. Aside from the obvious problems this causes, it can also have a negative effect on your bite and the overall alignment of your teeth. Additionally, your chewing and speaking functions may be severely impacted. In some cases, extraction of your teeth may be the only solution. While severe cases of gum disease may require surgery or tooth extractions, more mild cases of gingivitis will be treated with scaling and root planing. Learn about this primary treatment for combatting the symptoms of gum disease. Scaling and root planing is the main periodontal treatment used to fight gum disease. Scaling refers to the scraping of plaque from the teeth and gums, while root planing involves smoothing out the tooth root to prevent further exposure to bacteria. The scaling and root planing treatment is relatively painless and will be used for patients with gingivitis. Not every dentist is an expert at treating gum problems, but Dr. Diane Sherman offers complete periodontal treatment for her patients. If you think you have gum disease, don’t let it worsen to the point where it’s causing pain and costing you your teeth. It’s far better to seek treatment at the first sign of irritated gums. 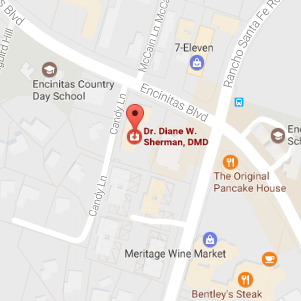 Contact Dr. Sherman to schedule an appointment today!